Sometimes you need a special birthday card for a special someone. Sometimes you need a stash of birthday cards on hand for those that sneak up on you, an unexpected party invite, or a new friend. 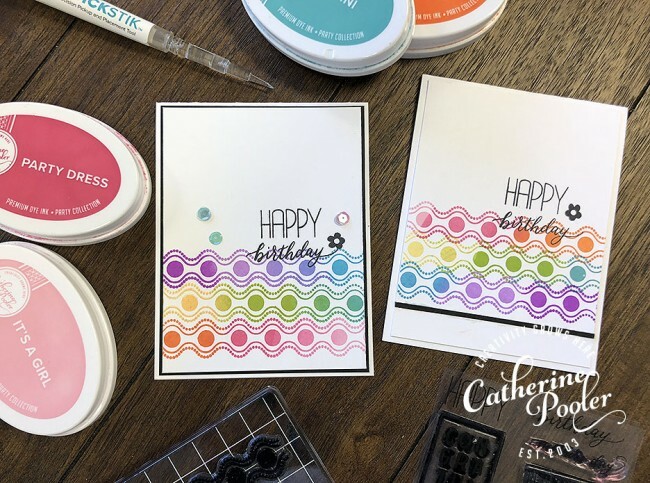 Over at StampNation, we've been working on making all those birthday cards for family, close friends…basically everyone you know you will be sending a card to this year. Click here to learn more about this great class, then click here to become our newest StampNation Member! 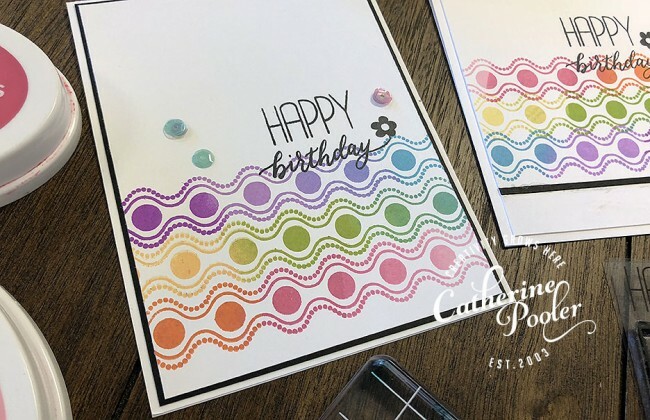 This card would be great for a special someone in their favorite colors, or just make a bunch to have on hand. You can even make a set of them to give as a gift! Don't forget to stamp envelopes to coordinate for an extra special touch. Our Long Rectangle Block is perfect for lining up all those border stamps in your stash! BLENDING TIPS: When blending colors like this, be sure to choose colors that will work well together. Usually choosing the next color in the rainbow will give you great results when you blend them together. Best practice is to ink your stamp in the lighter ink color first, then add the darker color. If the darker color gets on your light colored ink pad, you can dab it off with a paper towel, then add a bit more ink with your ink refill. You can also use an Ink Blending Tool to “buff” out the line if you get that between colors and shades. 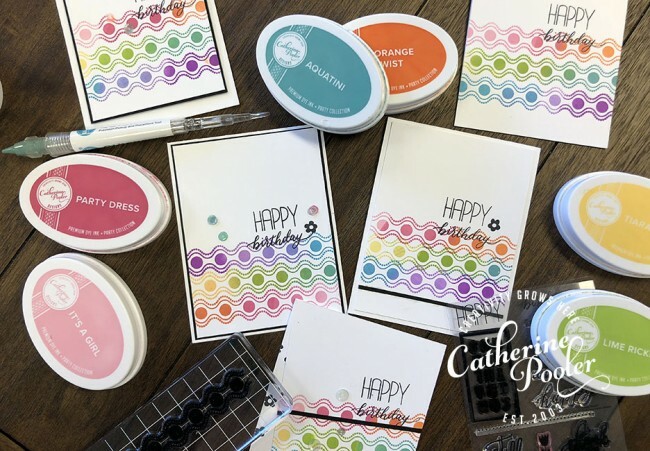 I kept these cards Clean and Simple, but you could dress them up by adding die cut flowers, critters, birthday cakes or balloons! LOOKING FOR COLOR COMBO IDEAS? Subscribe and download our Free Color Combo Guide for oodles of inspiration!